Sweet and sour sauce was one of those things I thought I had to give up on a whole food diet. I can’t even imagine how much sugar is actually in the store bought sweet and sour sauces. So I had to try making a homemade sweet and sour sauce recipe. Well actually, my husband came up with this sweet and sour sauce recipe and I was quite impressed! 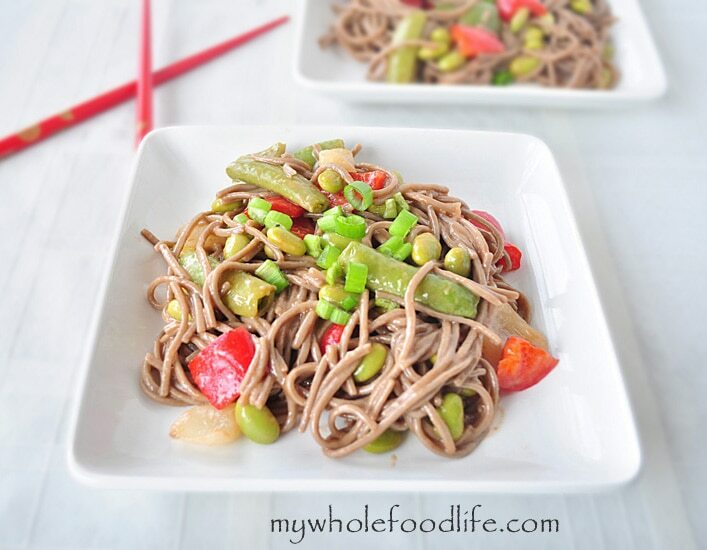 I used buckwheat soba noodles to keep these gluten free. 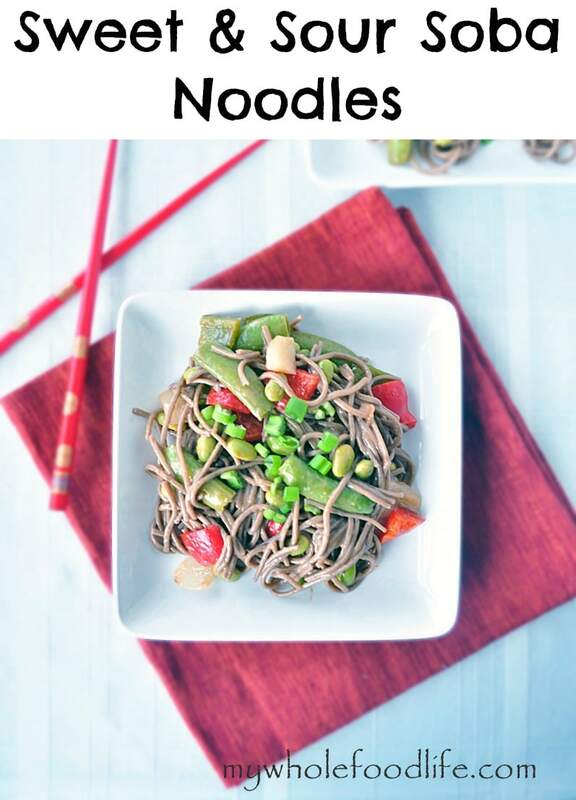 You could also use rice noodles. Either will work. This recipe would also be great with my homemade sriracha sauce. An easy meal ready in under 30 minutes! Boil the noodles in a large pot. In a small bowl, whisk the ingredients for the sauce. In a large skillet, saute the onion in the oil for 5 to 7 minutes on medium heat until they begin to look translucent. Add the carrots, peppers, edamame and pea pods in and continue to saute for another 3 minutes or so. Remove from heat. If you time this right, the noodles should be done boiling. Add the veggie mix, noodles, and sweet and sour sauce together and serve. Thanks Tina! I hope you enjoy the recipe! This salad I will definitely be making. I love to put edamame in dishes (like your salad.) Edamame adds bright color and besides, I always have some in the freezer.